It’s been about a week since Apple allowed the iPhone XS, iPhone XS Max, and iPhone XR to support dual-SIMs all over the world via its iOS 12.1 update. Only Airtel and Reliance Jio have pledged their support for eSIMs so far in India, with more carriers set to join them next year. To recap, the iPhone XS, iPhone XS Max, and iPhone XR all have a single SIM card slot and a digital eSIM that doesn’t require a physical slot. Airtel reportedly started support for eSIMs soon after iOS 12.1 arrived. However, it stopped taking new registrations almost immediately after it begun, leaving a very small pool of people who successfully managed to add it as a dual-SIM option. Airtel’s Twitter account claims that the official launch date for the eSIM facility is yet to be confirmed by Apple and more details will follow once it arrives. This is a strange statement to make since the iPhone maker has already confirmed that eSIMs are supported in iOS 12.1 and has even added Airtel and Reliance Jio to its list of supported carriers in India. 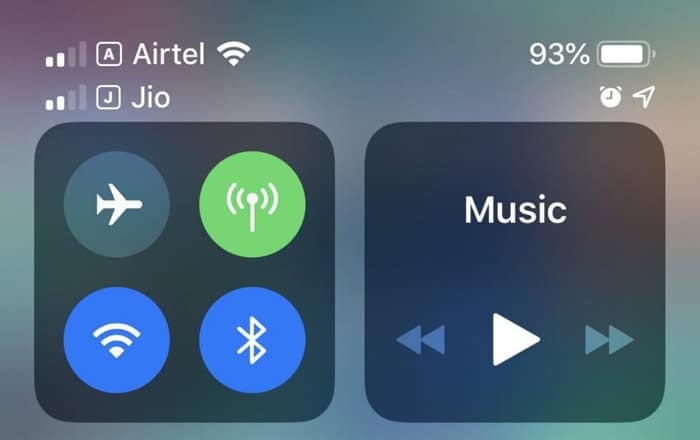 FoneArena reports that Reliance Jio has just started its eSIM service for iPhones in India. To activate the second number, you’ll have to go to a JioStore or Reliance Digital outlet with your iPhone and fill up a CAF (Customer Acquisition Form). If all the details are up to scratch, the store will generate a QR code which you have to scan on your handset by going to Settings > Cellular > Add Cellular Plan. The eSIM gets activated after a couple of hours. You can then choose which SIM is the primary one and which is the secondary one. The nano-SIM card is the main one by default. According to Apple’s support page on dual SIMs, you can add more than one eSIM into your iPhone, but only one of them can be used at a time. This could be useful when you’re traveling abroad and need to use a local carrier. As for Airtel, support should begin again soon. When it does, you can set up your eSIM by SMSing “eSIM ” to 121. A QR code will then be sent to your email address. Scanning it will kick off SMS and call checks to make sure it’s you. If everything checks out, your eSIM will be activated.